Microsoft named Satya Nadella CEO this morning, and the rising executive took no time addressing his new role in a public letter to Microsoft employees. 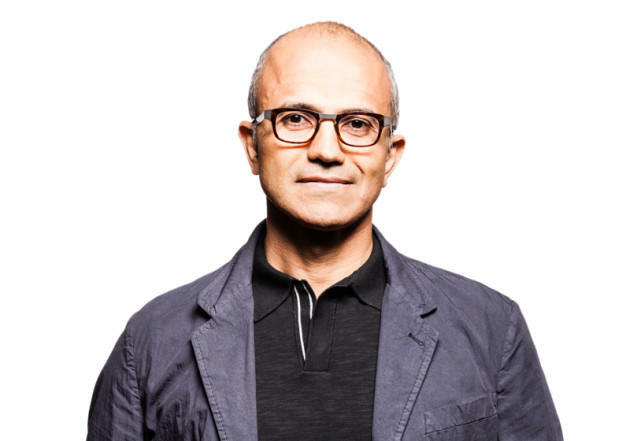 Nadella sent a letter Tuesday morning addressing his new position and it provides some information about him, and his vision for the future of Microsoft. "While we have seen great success, we are hungry to do more," Nadella said. "Our industry does not respect tradition – it only respects innovation. This is a critical time for the industry and for Microsoft. Make no mistake, we are headed for greater places – as technology evolves and we evolve with and ahead of it. Our job is to ensure that Microsoft thrives in a mobile and cloud-first role." His focus on mobile and the cloud is not surprising – at least since he led Microsoft's cloud efforts in his previous role in the firm. It is key to note that he doesn't believe Microsoft can afford to sit still and that he sees importance in the mobile space. Nadella also touched on the importance of software and the reliance on an increasingly connected world. Nadella also called on all Microsoft employees to "do our best work" and to "lead and help drive cultural change." He believes Microsoft has the right foundation in place to succeed in the ever changing tech landscape, but also called on employees to stop underestimating what one another is capable of doing. You can read the full letter in the source below. It is an incredible honor for me to lead and serve this great company of ours. Steve and Bill have taken it from an idea to one of the greatest and most universally admired companies in the world. I've been fortunate to work closely with both Bill and Steve in my different roles at Microsoft, and as I step in as CEO, I've asked Bill to devote additional time to the company, focused on technology and products. I'm also looking forward to working with John Thompson as our new Chairman of the Board. I am 46. I've been married for 22 years and we have 3 kids. And like anyone else, a lot of what I do and how I think has been shaped by my family and my overall life experiences. Many who know me say I am also defined by my curiosity and thirst for learning. I buy more books than I can finish. I sign up for more online courses than I can complete. I fundamentally believe that if you are not learning new things, you stop doing great and useful things. So family, curiosity and hunger for knowledge all define me. I am here for the same reason I think most people join Microsoft — to change the world through technology that empowers people to do amazing things. I know it can sound hyperbolic — and yet it's true. We have done it, we're doing it today, and we are the team that will do it again. In our early history, our mission was about the PC on every desk and home, a goal we have mostly achieved in the developed world. Today we're focused on a broader range of devices. While the deal is not yet complete, we will welcome to our family Nokia devices and services and the new mobile capabilities they bring us. Qi Lu captured it well in a recent meeting when he said that Microsoft uniquely empowers people to "do more." This doesn't mean that we need to do more things, but that the work we do empowers the world to do more of what they care about — get stuff done, have fun, communicate and accomplish great things. This is the core of who we are, and driving this core value in all that we do — be it the cloud or device experiences — is why we are here. This starts with clarity of purpose and sense of mission that will lead us to imagine the impossible and deliver it. We need to prioritize innovation that is centered on our core value of empowering users and organizations to "do more." We have picked a set of high-value activities as part of our One Microsoft strategy. And with every service and device launch going forward we need to bring more innovation to bear around these scenarios. Finally, I truly believe that each of us must find meaning in our work. The best work happens when you know that it's not just work, but something that will improve other people's lives. This is the opportunity that drives each of us at this company. Many companies aspire to change the world. But very few have all the elements required: talent, resources, and perseverance. Microsoft has proven that it has all three in abundance. And as the new CEO, I can't ask for a better foundation. Let's build on this foundation together.